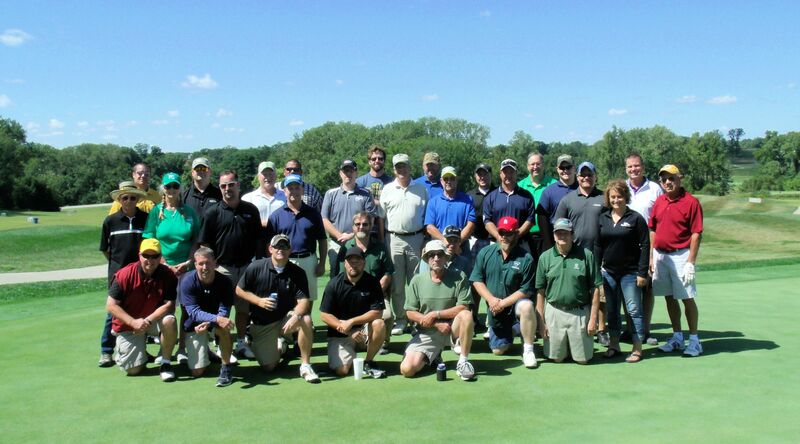 On September 11, 2015, Missouri LICA members once again met at the Hail Ridge Golf Course in Boonville, MO for a fun day of golfing, eating, laughing and even a little fishing! As a result of our members’ generosity, Missouri LICA was able to provide scholarships to three well-deserving students through our Missouri LICA Memorial Scholarship. We want to offer our very special “Thank You” to United Fire Group; Prins Insurance, Inc.; Winter-Dent & Company; Hickenbottom, Inc.; Missouri One Call System; Precision Intakes LTD; and National LICA for sponsoring holes and meals during the event. In addition, we want to thank Foley Equipment for providing the beverage cart; Matt Holem with Foley Equipment for driving the cart; and Chris Brauer, Matt Holem, and Mona Bledsoe who served as our “official” photographers! Check out some of their pictures below.